Enhance the power of your tablet and mobile devices, with web app technology, and improve your productivity. Improve customer service and customer satisfaction. Our Apps are also integrated with your existing desktop or web application, so the customers can get the current information same as available in web and your application. 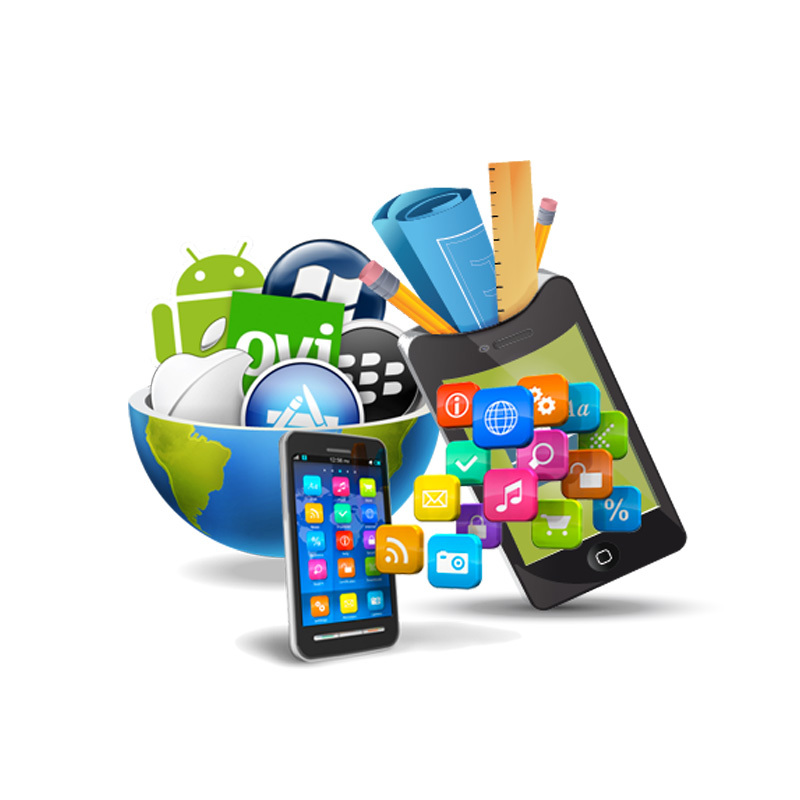 We ensure that all our apps are responsive, and work seamlessly with iPads, iPhones, Android & other tablets. Since the commencement of the smartphone, many companies turned to develop their effectively used applications to take their business to new heights. Custom mobile applications not only help in establishing connections between clients but also bring new ideas from employees to reach your company to next level of competition. At TSS Smart, we help you realize your dreams by turning app ideas into fully functional applications. Every organization has different requirements and objectives, so TSS Smart strive towards achieving these goals without compromising on quality. We follow our best development strategy and practices so that our customers get their applications done on time without losing their opportunities awaiting them. Out team follows following parameter while making an application. Our experts discuss the objectives of the client and draft an application blueprint. Ideas from the client are also taken while creating a rough draft of the custom application. Developing cross-platform applications isn’t easy as toolkits vary from one ecosystem to another. Imparting consistency to the application across multiple platforms is essential. Our developers follow a strict policy pertaining to use of components across platforms. This makes it easier to maintain the applications and extend functionality. Mobile devices, particularly smartphones are extremely vulnerable to hacking. Encryption tools and the ability to wipe data remotely are a must have in applications. The main function of a custom application is to replace a website while providing all the functions of the later. We ensure that the application loads up fast, is easy to use and is also visually appealing. The final phase of custom application development involves extensive testing of all the features while keeping a tab on security of the end user. Access times are also taken into account during testing.